Ousteri Lake (Oussudu) is one of the biggest lakes around Pondicherry. Its more than a century old man-made water body and is recognized as one of the important wetlands of Asia by the International Union for Conservation of Nature and Natural Resources (IUCN). It is a major supplier of fresh water to the region. 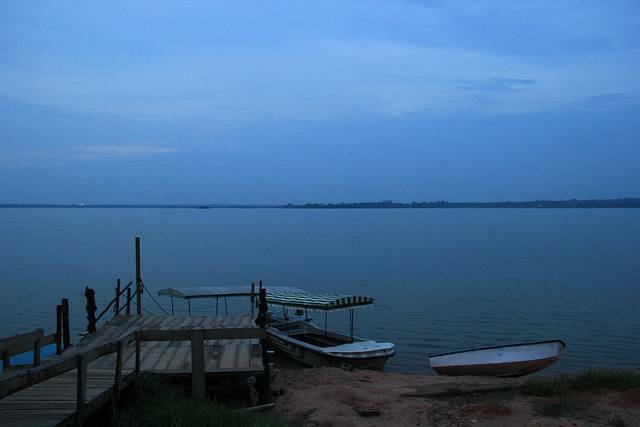 It is open to tourists for boat rides and bird watching. During winters this lake becomes dwelling for over 2000 migratory bird species. PTDC operates a boat club at the lake. They offer 30min rides on the 20-seater boats they have which allow visitors to enjoy the cool breeze and the scenery. If lucky, one can also sight some rare birds found in this region. Timings: 0900 - 1700 hrs all days of the week.